I had been fishing for years before I discovered kayak fishing. Once I did there was no turning back. I love being on the water and I love the relaxing, challenging nature of fishing. But I didn’t want to invest in second rate equipment and cheapen my experience. When I finally decided to get a quality kayak, I knew I needed to do some research. By investing in a quality kayak I now have the resources to get on the water when I want and where I want. It’s possible to fish from a touring kayak or simply paddle through the lake on a fishing kayak, but understanding the unique design of different types of kayak can help you optimize your experience on the lake. I can tell you honestly that not all kayaks are created equal! If you’re someone who enjoys being on the water, fishing and experiencing all that nature has to offer, then investing in a high quality kayak might provide the opportunity you need. Getting the right kayak is especially important if you plan on fishing or heading onto open waters. Being in the wrong kayak in ocean waves wouldn’t fun, let alone safe. And fishing from a kayak means you need proper storage for both your tackle, rods and the fish you catch. A proper fishing kayak has specially designed storage compartments that make fishing much easier. Some fishing kayaks ever have tackle boxes built into them! Most fishing kayaks have special rod storage compartments that will store any where from 2-6 rods. Imagine trying to lug along all of your various equipment without anywhere to store it. Without the proper storage compartments, a fun day on the water could quickly become frustrating. It might not seem important but fishing kayaks have built in accessories that will enhance your fishing experience. 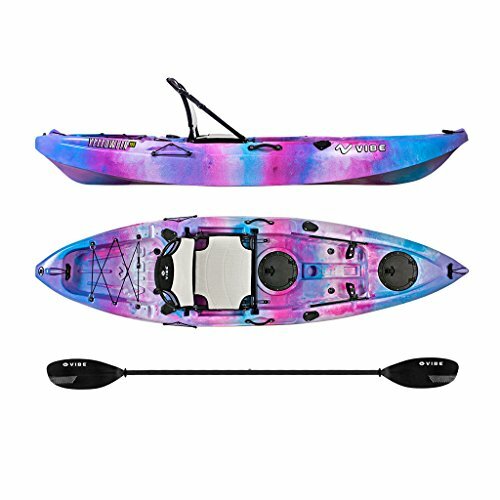 Some fishing kayaks have special pedal propeller systems that allow you to power your kayak with your feet which leaves your hands free for the important work of fishing. All fishing kayaks are outfitted with rod multiple rod holders and some have swivel rod holders as well. You could throw a line off the side of a touring kayak, but you wouldn’t be able to maintain an all day fishing excursion in comfort. Angler kayaks are typically designed with special raised seats for comfort and visibility. Most fishing kayaks also strive to be sturdy and steady enough for an adult to stand while casting off. I’m sure you know that standing can sometimes make things easier, and fishing kayaks are designed with this in mind. In 1997, Hobie’s bioengineered MirageDrive propulsion system revolutionized kayak design, and the innovations haven’t stopped there! The newest versions of the Hobie Pro Angler are fitted with the latest technological advances which allow the kayaks to easily maneuver forward and backward with the simple flip of a switch. The rudders are easily flipped upward for easy maneuverability in shallow water. The Hobie Pro Angler is designed with true anglers in mind. With plenty of storage options, six horizontal rod lockers, a skid proof deck for standing and an elevated vantage seat you’ll be ready for any kind of fishing trip you can imagine. Many kayaks can boast about meeting basic needs like keeping you afloat and dry enough, but the Hobie Pro Angler is designed with the serious angler in mind. With hands free technology, you can focus on fishing instead of the cumbersome business of paddling and storing awkward paddles. There is horizontal storage for four rods and vertical storage for two rods, plus easy access to all of your tackle. In 2015, Hobie added their plush Vantage seating option that is easily adjustable and ideal for long trips. With a 500 lb weight limit, the Hobie Pro Angler makes it possible to easily stand and cast off, without fearing being tossed overboard. The Hobie Pro Angler is an impressive 38’’ wide– making it longer than most fishing kayaks. This extra width makes it a very sturdy kayak. It also means that the Hobie Pro Angler is easy to get in and out of. When your kayak is full of important gear that you’ve accumulated over the years it’s important to think about the best way to protect it. When it comes to maneuverability, the Hobie Pro Angler cannot be matched. Hobie has been the forerunner of innovative steering technology for two decades and they just continue to improve their designs. The MirageDrive with glide technology frees up your hands so you can focus on fishing. Plus, the pedal drive system utilizes the larger, strong muscles of your lower body to make kayaking even easier. Being able to control your kayak without using an awkward paddle and arm strength will really change your fishing experience for the better. The Sun dolphin is a SOT fishing kayak with two rod attachments, one swivel rod holder and a large seating well. The seat area is padded nicely and there is the option of attaching a P.A.C (portable accessory carrier) to tow behind which makes up for it’s lack of storage. The Sun Dolphin is only capable of handling smoother waters and only holds up to 250 lbs. 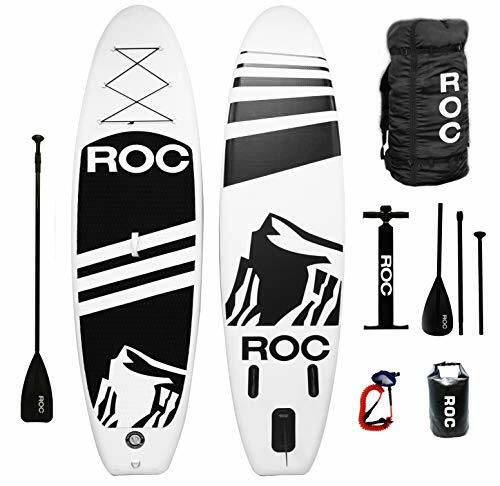 This SOT kayak is made to be completely adjustable for different riders. The seat is adjustable and there are multiple different foot rest holds built in to accommodate riders of different heights. It is a little lacking in storage, with only two 6’’ storage holds. It does have two flush mount rod holders and one top mount adjustable holder. The Lifetime Tamarak has a 275 lbs weight limit so it might not be the driest ride for all adults. There are many quality options available to anglers and kayakers, but the Hobie Pro Angler is one of the best selling kayaks for a reason. It is versatile, stable, and it’s intelligent design creates the most comfortable kayaking experience possible. If you’re ready to invest in a kayak that will make it easier for you to spend some quality time out on the water, then check out the Hobie Pro Angler.